Product prices and availability are accurate as of 2019-04-20 19:28:12 EDT and are subject to change. Any price and availability information displayed on http://www.amazon.com/ at the time of purchase will apply to the purchase of this product. 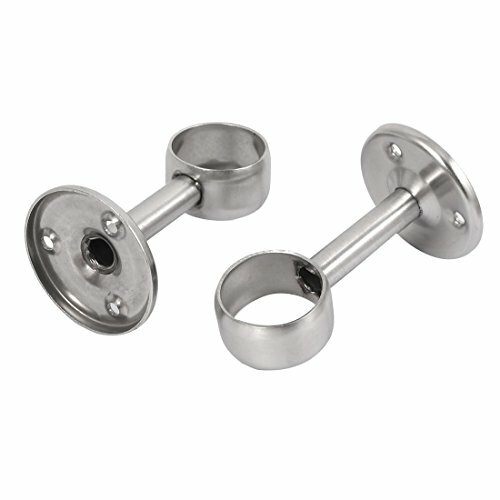 It features wall mount and made of stainless steel material. 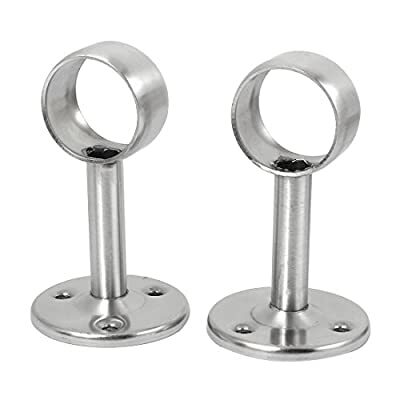 Weight: 111g; Package Content: 2pcs x Wardrobe Rail Support Material: Stainless Steel; Product Name: Wardrobe Rail Support Dimension: 54 x 95mm/2.1" x 3.7"(Base Dia *H); Main Color: Silver Tone Mounting Hole Dia: 5mm/0.2"; Hole Center Distance: 31mm/1.2" Fit for Tube Dia. : 32mm/1.26"